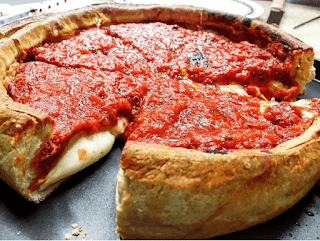 There is a certain is a pizza place in Chicago that makes the best deep dish pizza. If I lived in Chicago I honestly think I could eat there almost every day for weeks and never get tired of it. Their pizza is just that good. However, I know that eating stuffed pizza for every meal for weeks on end wouldn’t be good for my health. I know that I should include other food groups in my diet. To be healthy, I need to eat a balanced diet. Dear Lord, help us to be faithful in reading all of Your Word and not just the things that we want to hear and obey. In the Name of Jesus, Amen. If you want to be good at something, it takes discipline. Growing up I tool piano lessons and that required practice every day to master the skills that my teacher set forth each week. If you play an instrument, you have to practice, if you play a sport you have to train and eat right to be better. To grow in any area in life you’ve got to discipline yourself. 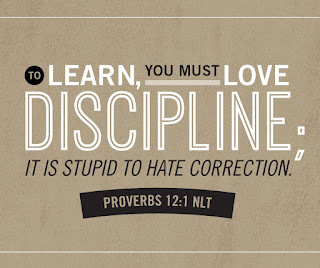 If you want to become a person of character, you’ve got to love discipline. Discipline not easy and it’s certainly not fun. Discipline is hard work. But if you want to learn, to grow, and to be better, you’ve got to learn to love discipline. That’s what our verse is encouraging us to do. 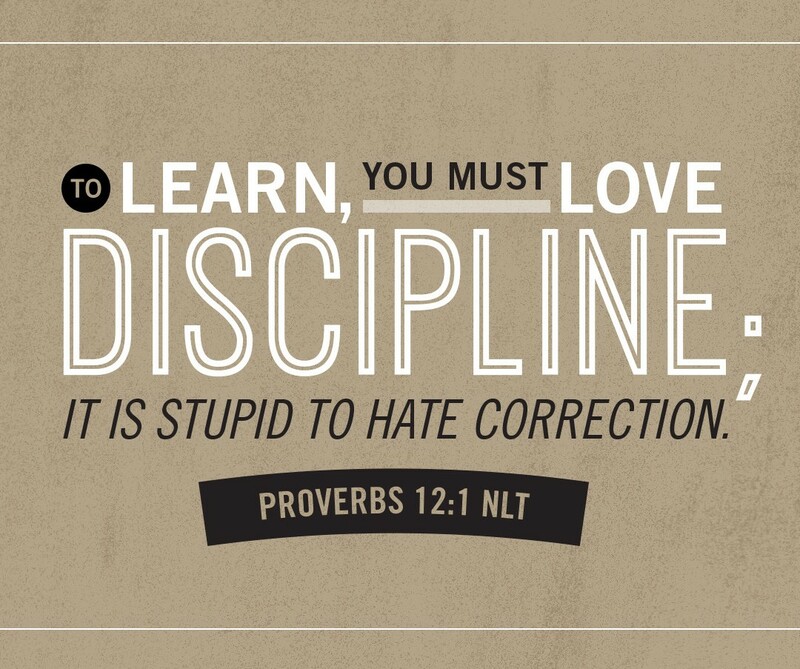 To become better at anything we’ve got to embrace correction and love discipline. When we do we will learn and grow. It’s the small choices we make that set us apart from others. So decide that you’re going to discipline yourself to make good choices. It’s those choices that determine where you end up in life. Dear Lord, help us to be disciplined in the things we do so that we can become what You have designed for each of us. In the Name of Jesus, Amen. 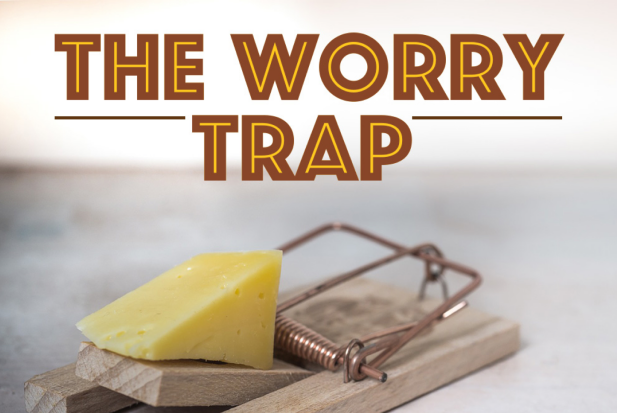 It is so easy to fall into the trap of worry. I wake up many nights worried about the next day and what I needed to do. Concerned that I would forget something that needed to be done. I have lost a lot of sleep because I was so worried that I’d forget something the next day. Dear Lord, help us to not worry about the things in life but to fully trust You in all things. In the Name of Jesus, Amen. Do you have days where you doubt your worth? Maybe you wonder why you are the way you are, or why you can’t say the right thing at the right time. Or perhaps you don’t look the way you wished you did. All this self-doubt can start to weigh on you, and make you feel like you’re not important. Today’s verse gives us a true picture of our worth to God. 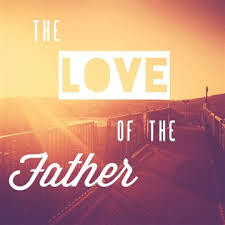 It tells us that God has adopted us into His family. Because of this. we now have value and purpose. All the superficial things, like how you look and what you do no longer matter. What matters is what God says about you. Your true value is based on what God thinks of you. The good news is, God thinks you’re great. He loves you in a big way. He wants nothing more than to know you. He loves you with a greater love than you’ll ever know. So when you have days where you question your worth, take some time to think about how much you’re worth to God. He loved you enough to adopt you into His family. To Him, you’re priceless! Dear Lord, we thank You that You have adopted us into Your family and that You think we are priceless. Thanks for loving us. In the Name of Jesus, Amen. It’s so easy to feel like you don’t measure up to others. You can see the things other people are posting on social media and if you’re not careful, you can begin to think that your life isn’t that exciting, or doesn’t matter. The truth however, is that you were created for an awesome purpose. God sees you as someone that is important. You are His handiwork, that means He cares about you and has an interest in you. He cares what you’re up to and He’s created you to do something good. God has a unique plan for your life. He wants to use you to touch other people and to make a difference in your world. There are people around you that need to know about Jesus. God wants to use you to touch them and show them Jesus. God has so much in store for you to do. 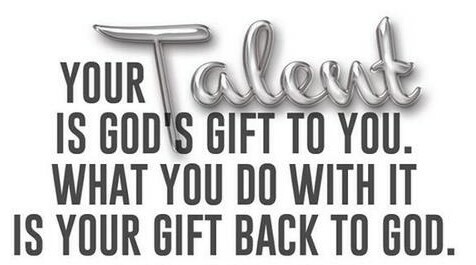 So don’t give into the lies that you’re not important, or you’re not as talented as someone else around you. Chose to believe what God says about you, that you’re created to do good things! Dear Lord, we thank You that You created us with special gifts and talents. Help us to see them and use them for You. In the Name of Jesus, Amen. What do you do when you have a bad day? There are lots of different things that you can do to help you get over a bad day. However, as we look at our Bible verse today it tells us one awesome way to beat the bad day blues. Today’s verse talks about singing and praising the lord with music. There’s something about singing and praising God that helps you get in a better mood. It doesn’t matter if you don’t sing well or can’t play an instrument. 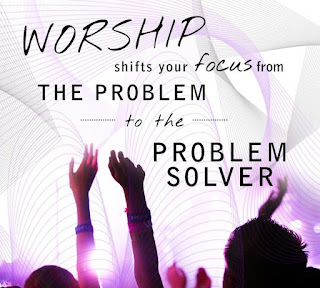 Just grab your phone or MP3 player and enjoy worshiping God through the music. 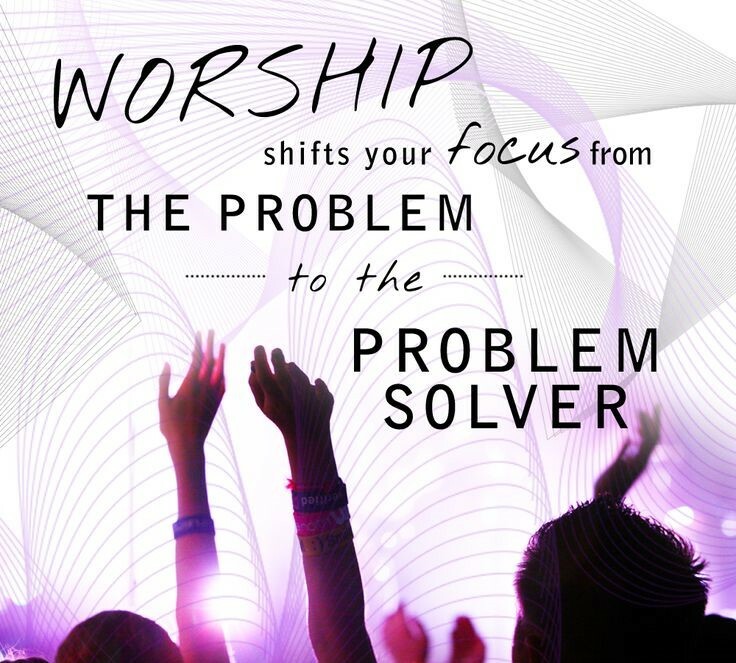 Worshiping God is one of the best things you can do when you have a bad day. So if you’re having a bad day, choose to sing to God. It will help you begin to enjoy your day and get your focus on God and all He’s done for you. Dear Lord, we thank You great music there is to lift our spirits when we are down. Help to remember to praise You in all things. In the Name of Jesus, Amen. As I turned on my computer this morning my inbox was filled with “Black Friday” ads. After great Thanksgiving Day yesterday today began the unofficial “Christmas shopping season,” the time of year when retailers move from operating “in the red” (at a loss) to operating “in the black” (making a profit). Stores offer crazy low prices to lure us the customers in, hoping that we will in turn spend a lot of money for gifts. The debt accumulated all year is finally paid. 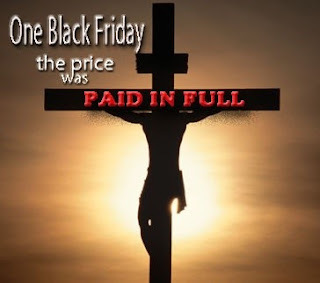 Each year on Black Friday it makes me think about another “Black Friday”, a day when the greatest price was paid for the greatest gift ever given. 2000 years ago, an innocent man gave His life so that others might live. Jesus Christ, the Son of God, left His heavenly home, to be born into an ordinary family and live an ordinary life in an ordinary town, until He began His extra-ordinary ministry on earth. For 3 years, He healed the hurting, taught those who would listen, and preached the truth to all. The conclusion of His time on earth was paying the price for the sins of the entire world, past, present and future, and providing the gift of eternal life to any who receive it. In a word, He paid the debt that we owe, a debt we were powerless to pay. 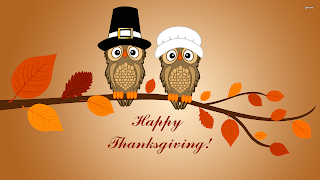 Now that Thanksgiving Day is over, let’s continue to live with thanksgiving in our hearts. Dear Lord, thank You for paying the debt we owe. Thank You for rising from the dead in victory, giving us the opportunity to live in victory. Help us be ready to share the real reason for the season. In the Name of Jesus, Amen. "to recommend to the people of the United States a day of public thanksgiving and prayer, to be observed by acknowledging with grateful hearts the many and signal favors of Almighty God, especially by affording them an opportunity peaceably to establish a form of government for their safety and happiness!" Dear Lord, we are thankful for all You do for us. 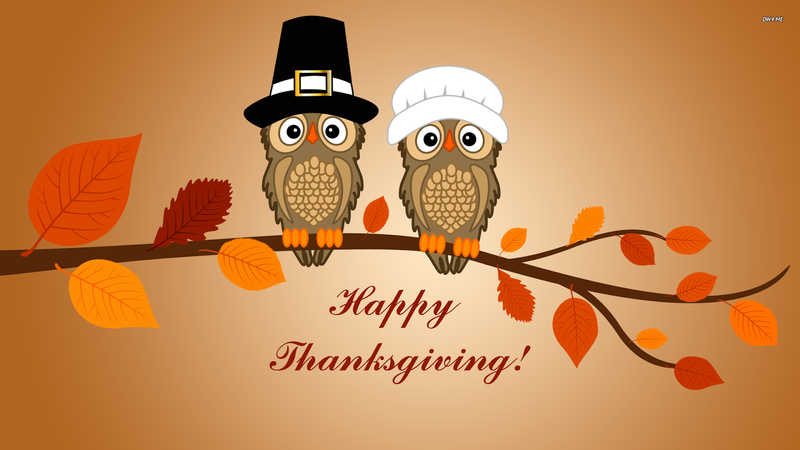 We are thankful for all that You have provided for us. Help us to not only be thankful on this one day but throughout the year also. In the Name of Jesus, Amen. Dear Lord, we thank You for the way you take care of each of us. Help us to have the gratitude and be thankful for each things. In The Name of Jesus, Amen. When a general returned from a victorious battle, ancient Rome would stage a parade to welcome the conqueror home. The parade would include the general’s troops, as well as trophy captives who had been brought along as evidence of the victory. As the parade made its way through the city, the crowds would cheer their hero’s success. When successful, we too may lose sight of our own frailty and allow our hearts to fill with destructive pride. 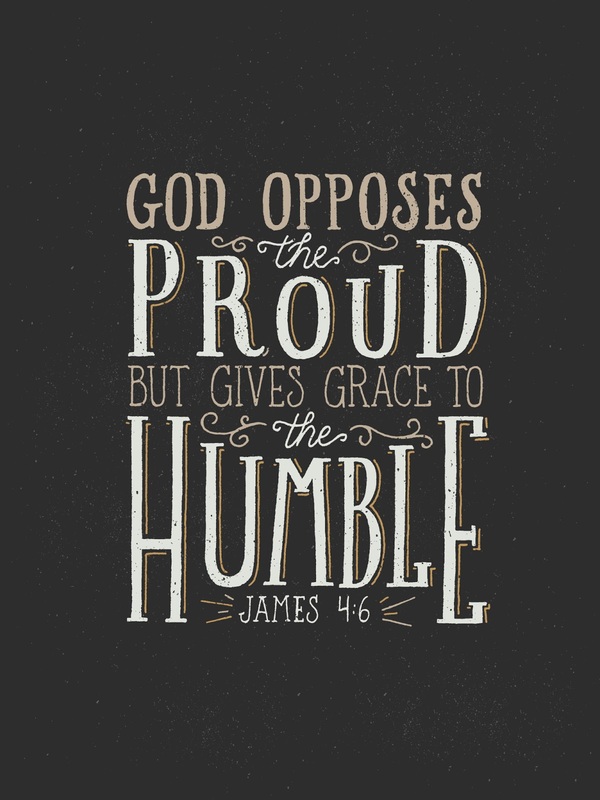 James pointed us away from the danger of pride by pointing us to humility and to God. 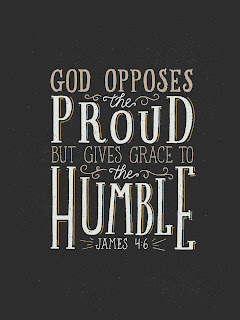 He wrote, “God resists the proud, but gives grace to the humble” (James 4:6). The key to that statement is grace. Nothing is more wonderful! The Lord alone deserves thanks and praise—especially for the grace He has lavished on us. Our achievements, success, or greatness are not rooted in ourselves. They are the product of God’s matchless grace, upon which we are eternally dependent. Dear Lord, thank You for the gifts You give each us. Help us to use them to bring honor to You in all that we do. In the Name of Jesus, Amen. In the classic autobiography, The Hiding Place, Corrie ten Boom tells of her sufferings at the hands of the Nazis during the evil reign of Adolph Hitler. Corrie and her sister, Betsie, were incarcerated at the Nazi concentration camp, Ravensbruck, and experienced terrible atrocities there. On one occasion, they were forced to disrobe before the German soldiers. In that awful, humiliating moment, an amazing discovery came to Corrie's mind: "They took Jesus' clothes too. He hung naked for me." When she relayed that wondrous thought to Betsie, she gasped and said, "Oh, Corrie, and I never thanked Him for it." 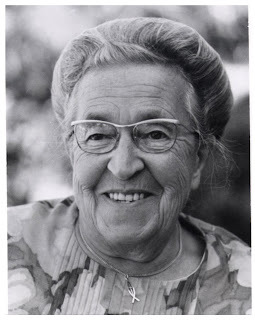 One of the things that made Corrie and Betsie such dynamic Christians was the fact that the chose to see life from God's perspective. In the worst of situations, they found new insights to praise and thank God. The Bible tells us that we are to give thanks in everything, the good things AND the bad things. In Psalm 50:23, God says, "He who offers a sacrifice of thanksgiving honors Me." In the hard times, thanksgiving is difficult. It is definitely a sacrifice to thank God in a Nazi concentration camp, but it is so very necessary. Thanksgiving honors God, and when you and I honor God, He honors us. Dear Lord, help us to always be thankful for everything that comes our way in life. In the Name of Jesus, Amen. When I was in Christian Service Brigade we did a lot of camping. Once we got to camp and were all set up we would need firewood. 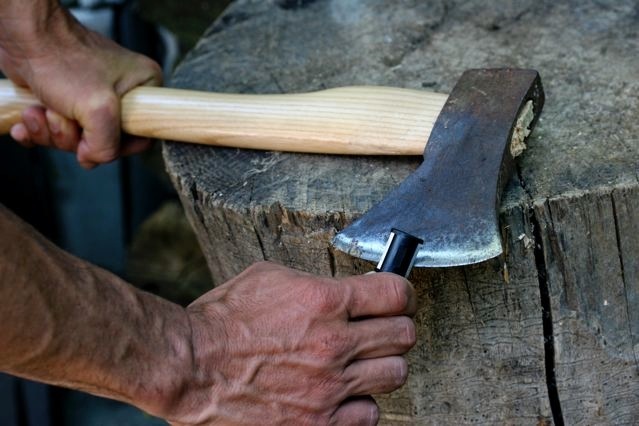 One of the things we learned from our leaders was to keep our ax sharpened. Our leaders taught us that a dull ax meant harder work chopping through fallen trees. The sharper the ax the less effort and energy required for the task. So I learned early on to sharpen my ax before leaving for the camp out, and I saved myself a lot of time and energy. There is a lesson here. How many of us are exerting so much energy for the Kingdom, but are working with dull axes? We need to sharpen our spiritual lives, get focused in prayer and spend deep time in the Word. Then, when we are "out in the woods", working for the Kingdom our effectiveness will be greatly multiplied because our axes are sharp! Don't get so busy that your ax becomes dull. Remember that your devotion to the Lord and His word will sharpen your spiritual life, especially before you start the day. Prioritize your devotional life and watch how your "edge" will cut through the problems, obstacles, and difficult situations, like a hot knife through butter! Dear Lord, help us to focus on not only sharpening our ax but keeping it sharp along the way. Help us to stay in Your word so that we are sharp and ready for what comes about us. In the Name of Jesus, Amen. D. L. Moody told the story of a man who was crossing the Atlantic by ship. He was terribly seasick and confined to his cabin. 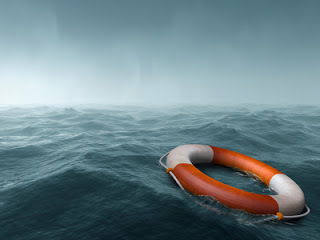 One night he heard the cry "Man overboard!" But he felt that there was nothing he could do to help. Then he said to himself, "I can at least put my lantern in the porthole." He struggled to his feet and hung the light so it would shine out into the darkness. The next day he learned that the person who was rescued said, "I was going down in the dark night for the last time when someone put a light in a porthole. As it shone on my hand, a sailor in a lifeboat grabbed it and pulled me in." All of us have weaknesses -- and times of weakness. The fact of the matter is, though, that weak or not, we need to muster up the strength to put our lights in our portholes for the sake of the dying and the lost among us. It's so tempting to sulk in our weaknesses, and stay in our cabins -- but God expects more of us. He has given us the strength to do all things -- even move mountains! There are so many people around us sinking in despair. God has chosen us to reach out and light up their lives! Let's do something for the Lord today. Be bold, speak up, let's not let our weaknesses get in the way. Dear Lord, we thank You for all You do for us. Help us overcome our weakness and reach out to those that need help today. In the Name of Jesus, Amen. 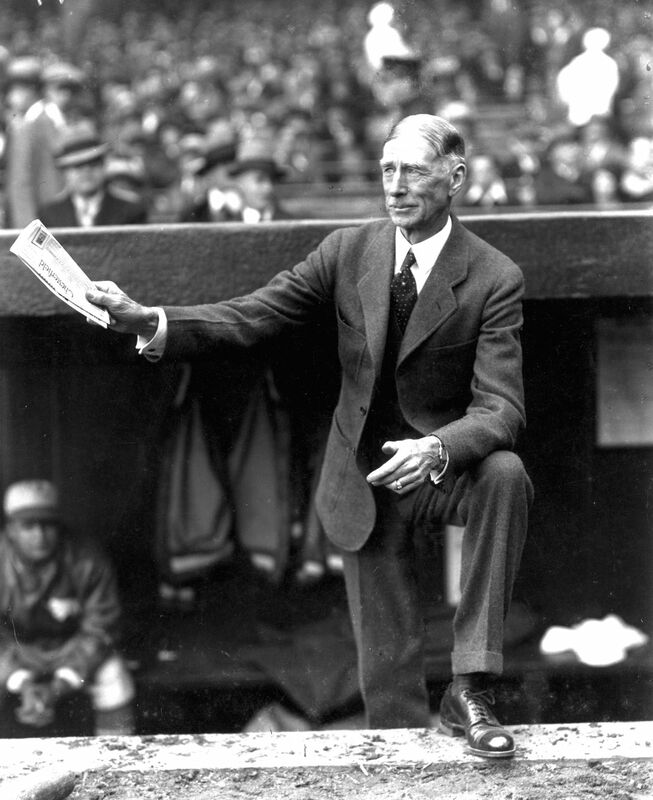 Connie Mack was one of the greatest managers in the history of baseball. One of the secrets of his success was that he knew how to lead and inspire men. He knew that people were individuals. Once, when his team had clinched the pennant well before the season ended, he gave his two best pitchers the last ten days off so that they could rest up for the World Series. One pitcher spent his ten days off at the ball park; the other went fishing. Both performed brilliantly in the World Series. Mack never critcized a player in front of anyone else. He learned to wait 24 hours before discussing mistakes with players. Otherwise, he said, he dealt with goofs too emotionally. In the first three years as a major league baseball manager, Connie Mack's teams finished sixth, seventh, and eighth. He took the blame and demoted himself to the minor leagues to give himself time to learn how to handle men. When he came back to the major leagues again, he handled his players so successfully that he developed the best teams the world had ever known up to that time. Mack had another secret of good management: he didn't worry. "I discovered," he explained, "that worry was threatening to wreck my career as a baseball manager. I saw how foolish it was and I forced myself to get so busy preparing to win games that I had no time left to worry over the ones that were already lost. You can't grind grain with water that has already gone down the creek." That is an important lesson for each of us, don’t worry. I know that is a tough lesson for me and I still work on that daily. We need to remember that God is in control. Dear Lord, we thank You that Your hand is in everything and we don’t have to worry. In the Name of Jesus, Amen. Its so easy to get stressed out. You can do it without even trying. 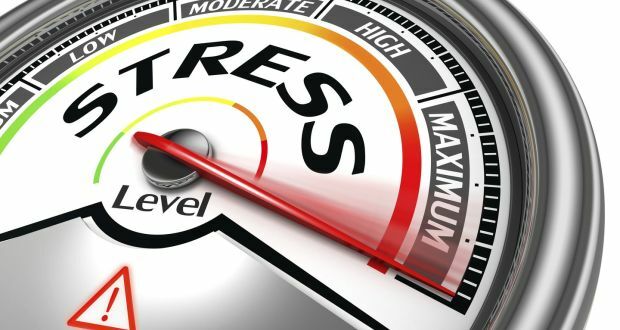 With all the pressures from school, sports, jobs, parents, kids, family and friends its easy to feel lots of pressure to get things done and at times, just plain stressed out. Today’s Bible verse doesn’t tell us that we won’t experience worry and stress in life, but it does tell us what to do about it. 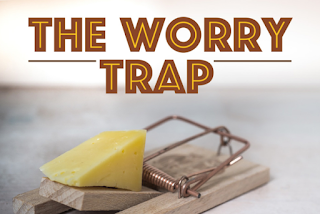 We are challenged to give our worry to God. The great thing about giving something away is that we no longer have it. And that is what we are to do with worry. We are to give it to God and no longer carry it in our life. When you give your worries and cares to God it frees you up to enjoy life. You can sit back and relax knowing that God is always going to take care of you! Dear Lord, help us to give all our cares to You. Thank You that You are in control even when we think things are falling apart. In the Name of Jesus, Amen. It is easy to begin feeling bad about yourself. You start to look at what other people have, or the things they say and wonder, what is wrong with me? Why can’t I look like that, or say those funny things that make everyone laugh. If you’re not careful, you can begin to really get down on yourself. So on those days when you really feel like you’re just not likable, or when you feel like you’ve really messed up again, begin thinking about today’s Bible verse. This verse shows us a powerful truth, that we are children of God. It doesn’t tell us that we’re trying to become God’s children, or that one day we will be God’s children. No, it tells us that we are God’s children now. That means we don’t have to do anything or change anything to become God’s child. Its something you already have. So as you go about doing all the things you do today, remember what today’s verse says. 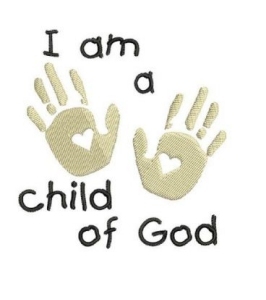 Remember that you are God’s child. That means a lot! 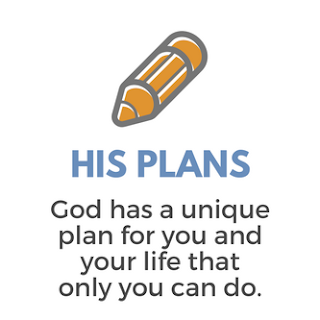 That means that you’re important to God and that He’s got great plans for your life. So don’t get discouraged. Choose to dwell on the truths found in today’s Bible verse and begin seeing yourself like God sees you, as His child. Dear Lord, we thank You that we are Your child. When we start to get down help us to remember that You are Heavenly Father is control. In the Name of Jesus, Amen. 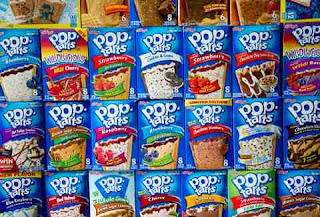 Pop Tart flavors come and go. Some flavors have been retired. Other flavors are just used for an anniversary or birthday of Pop Tarts. 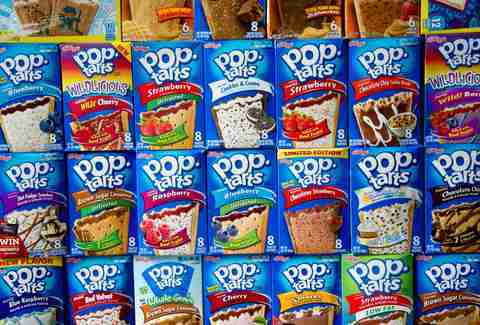 New flavors of Pop Tarts come out from time to time. The same is true of friendships. Some friendships go. While it isn’t always easy in seasons when it doesn’t feel like you have lots of friends, you can take comfort in the fact that there are seasons in life. Some seasons you find that you have more friends than others. Don’t become discouraged when you feel that you have fewer friends. It’s just a part of life. Other seasons of your life, you will have more friends. Just choose to have a good attitude and not let the seasons of life get your down. Dear Lord, we thank You for the friends You bring in our life. Help us to treasure then as the gift that they are. Thanks You for being a friend that will never leave us nor forsake us. In the Name of Jesus, Amen. 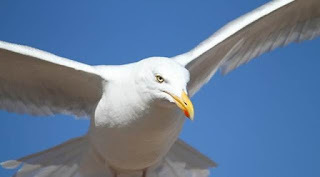 When John had started out, all his superiors told him that he was destined to go far in the firm. Now they all shook their heads in wonder that he had never climbed the corporate ladder. John just smiled to himself. Dog-eat-dog was fine for some, but John was content to just do the work he loved. He didn't care what anyone else thought, he was happy, and that was worth more than all the prestige in the world. Grow where you're planted, the saying goes. When you find a place of contentment, guard it. Don't be ready to throw it away for what may or may not be better. Too often we get into situations over our heads, and then it is too late to go back. God will not be impressed by your fame or wealth. What pleases the Lord is someone who uses his talents and makes peace for himself in the work that he does. Dear Lord, make our aspirations for our self realistic and worthwhile. Help us to do the things we like rather than those things that are done merely to impress others. In the Name of Jesus, Amen. 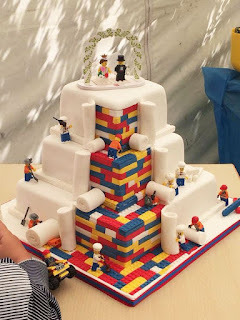 Today is my wife’s birthday so I thought we would look at a cake recipe. If you were given a recipe for the best cake ever and wanted to make that cake you would have to first take a step of faith and actually do what it tells you to do. We can know that what we believe is true because of the One in whom we have trusted. The truth of what we believe will be revealed in the results of us taking the steps to put His Word into use in our lives. Dear Lord, we thank You for the recipe of life that You have given to us. Help us to read Your Word daily so that we will know what You have for us. In the Name of Jesus, Amen. 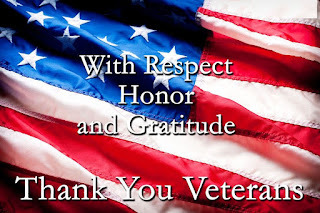 This Veterans Day many of us wonder what are our troops are doing and what is their purpose. In case you are not sure, this is what they are doing. They are doing the same thing that our troops did in WWI, WWII, the Korean War, and in Vietnam. They are fighting and dying to secure the freedom of other people in other lands. It is interesting to note that many people who do not know or have forgotten what is to be free, often do not appreciate freedom. They often do not appreciate those who are fighting for their freedom. The reverse can also true; people who lived their whole lives in freedom can take it for granted and not appreciate that freedom. They also do not appreciate it when our troops fight for the freedom of other people. Dear Lord, we thank You for the men and women that have served so that we may have the freedoms we have. We also pray for the families that have lost loved one, we pray for comfort and peace for the, In the Name of Jesus, Amen. The word “amen” is a most remarkable word. It was transliterated directly from the Hebrew into the Greek of the New Testament, then into Latin and into English and many other languages, so that it is practically a universal word. It has been called the best-known word in human speech. The word is directly related--in fact, almost identical--to the Hebrew word for “believe” (aman), or “faithful.” Thus, it came to mean “sure” or truly,” an expression of absolute trust and confidence. When one believes God, he indicates his faith by an “amen.” When God makes a promise, the believer’s response is “amen”--”so it will be!” In the New Testament, it is often translated “verily” or “truly.” When we pray according to His Word and His will, we know God will answer, so we close with an “amen,” and so also do we conclude a great hymn or anthem of praise and faith. It is, therefore, profoundly meaningful that the entire Bible closes with an “amen.” “The grace of our Lord Jesus Christ be with you all. Amen” (Revelation 22:21), assuring everyone who reads these words that the whole Book is absolutely true and trustworthy. Amen! Dear Lord, we thank You that we can be assured that every word of the Bible is true and trustworthy and is punctuated with an Amen. In the Name of Jesus, Amen. “Well, I have trusted you so long with my Bible; you have slighted it; it lies in such and such houses all covered with dust and cobwebs; you care not to listen to it. Do you use my Bible so? Then you shall have my Bible no longer.” And he took the pulpit Bible away. Dear Lord, we pray that we You not neglect Your word. Help us to open it and read it each and every day. Then we pray that we would take what we read and apply it to our life. In the Name of Jesus, Amen. Dear Lord, we thank You that we can know where we are going because of what You did for us on the cross. In the Name of Jesus, Amen. 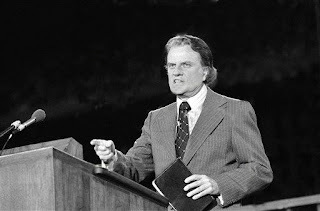 I had the privilege to attend the Billy Graham crusade when it was held at the Pontiac Silver Dome in 1976. It was fun to be part of one of the first events held at the new home of the Detroit Lions. They were expecting about 30,000 to be there and were shocked when the total attendance topped 70,000. What a tribute to the power of God using a man that gave his all to serve his Lord and Savior. Billy Graham has been named by Americans as "One of the Ten Most Admired Men in the World,” over 59 times with the Gallup poll. He has been known through the years as not only a world renowned evangelist, but as a kind, non-judgmental, accepting, and humorous soul. His message is timeless, powerful, and relevant for today. The phrase, “the Bible says,” resounds throughout his sermons, and the truth he has preached for years still transcends all barriers of denominational differences, age, nationality, and culture. It has stood the test of time and generations, pointing millions to Christ. Dear Lord, we thank You for the men and women that stay faithful to the call that You put on their life. In the Name of Jesus, Amen. Three times a month, Jermaine Washington and Michelle Stevens get together for what they call a "gratitude lunch." With good reason! Washington donated a kidney to Stevens, whom he described as "just a friend." They met at work where they used to have lunch together. One day Michelle wept as she spoke about waiting on a kidney donor list for 11 months. She was being sustained by kidney dialysis, but suffered chronic fatigue and blackouts and was plagued by joint pain. Because Washington couldn't stand the thought of watching his friend die, he gave her one of his kidneys. Michelle likes to say “If you've got something great to be thankful for, having a "gratitude lunch" is a great way to celebrate.” When we think about the great thing Jesus did for us lets take the time to have a “Gratitude lunch” and thank Him for the great things He does for us each and every day. Dear Lord, we thank You for dying on the cross and raising from the dead to take away our sins. 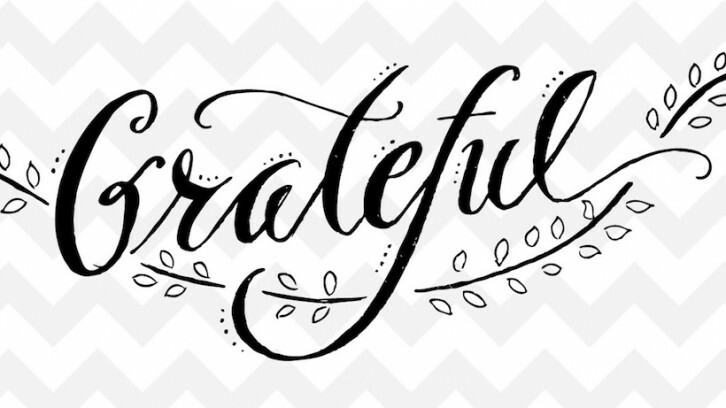 Help us always be grateful for the gift and for You. In the Name of Jesus, Amen.